(SERCA-Servicios de Carga Aereas) (SSE) (San Jose) 1981 - 1983. Photos. Framable Color Prints and Posters. Digital Sharp Images. Aviation Gifts. Slide Shows. 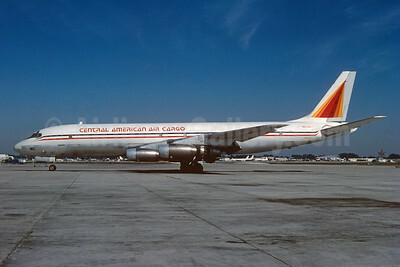 Central American Air Cargo (SERCA) McDonnell Douglas DC-8-33 (F) N124AJ (msn 45626) MIA (Bruce Drum). Image: 103668.